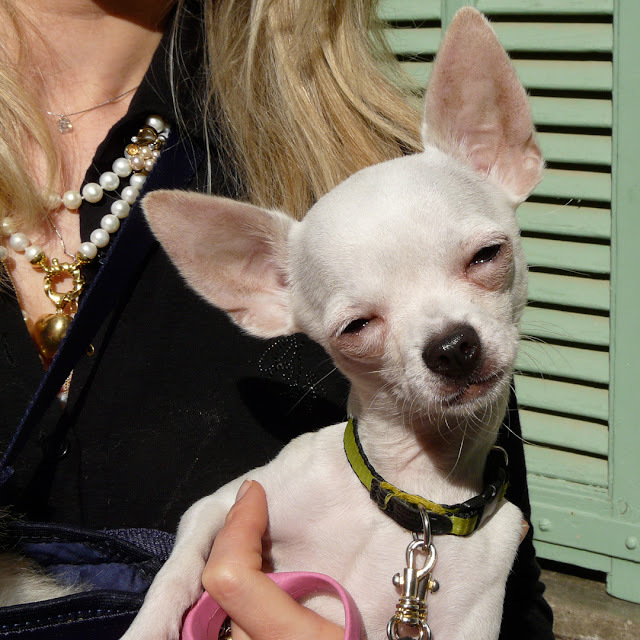 A chihuahua puppy from Ventimiglia, Italy. She's called Tokyo and is giving a 'don't mess with me' look! Uh oh... would a bribe of dog treats help? She looks clean and pink and darling. Very sweet but I think her eyes need to be checked.... I have a "thing" about watering eyes - condition called Dry Eye is fixed by drops.